Fairway Ridge opens new playground! 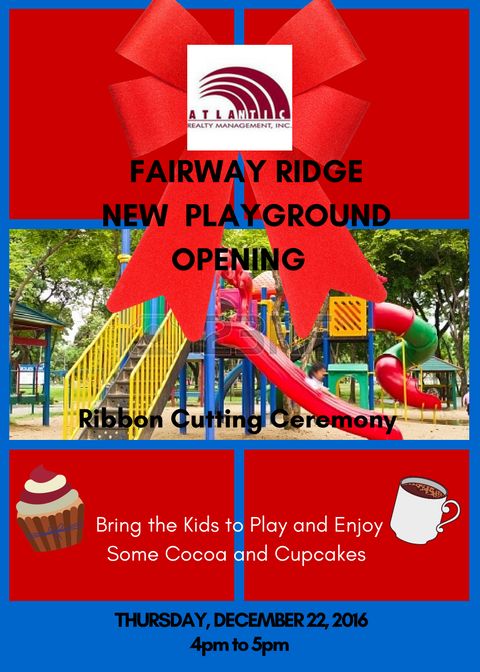 Fairyway Ridge, an Atlantic Realty Mangement, INC. property opened a new playground right before Christmas! Playgrounds provide the vital opportunities children need to play as they develop into adults. What a fantastic addition to the Fairway Ridge community!